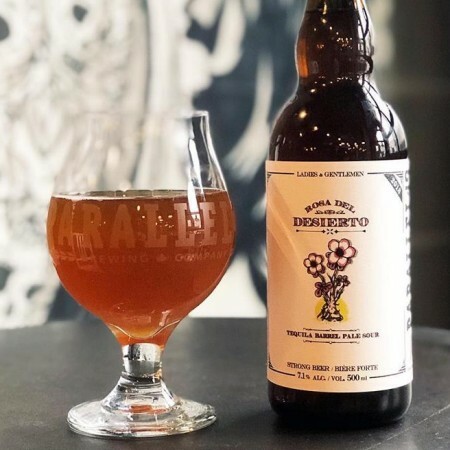 VANCOUVER, BC – Parallel 49 Brewing has announced details of the latest release in its Cork & Cage Series of limited edition barrel-aged beers. This Tequila Barrel Pale Sour will light up those taste-buds with its grassy and earthy notes along with aromas of lemon verbena with a juicy tart finish. Aged to perfection for 4 months in tequila barrels. Rosa Del Desierto is available now in 500 ml bottles at Parallel 49, as well as select private liquor stores in British Columbia and Alberta.